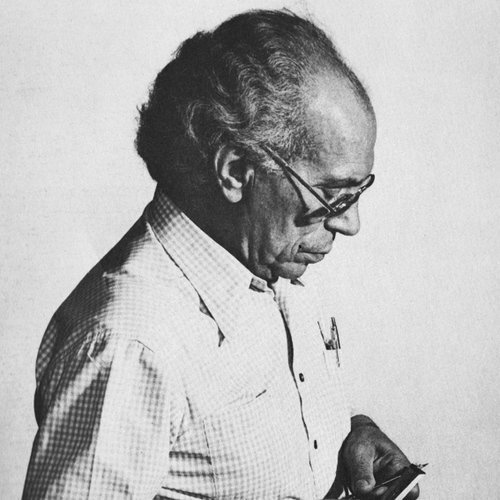 Modernist designer, painter, and sculptor Joaquim Tenreiro (1906-1992) is considered one of Brazil’s preeminent 20th-century designers. He played a key role in forging the Brazilian design identity on the international stage. 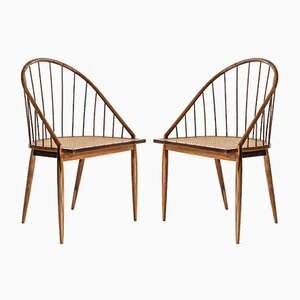 Tenreiro was born into a family of woodworkers in Melo, Portugal, in 1906. 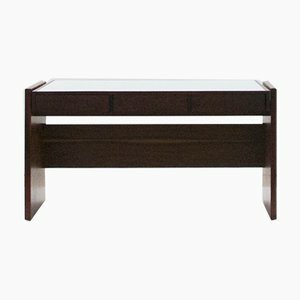 In 1928, at the age of 22, Tenreiro moved to Brazil and embarked on a career in furniture design. 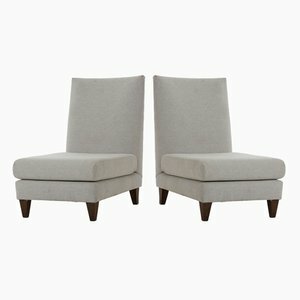 He began by working for traditional and upscale furniture manufacturers, such as Leandro Martins, Francisco Gomes, and Laubisch & Hirth. 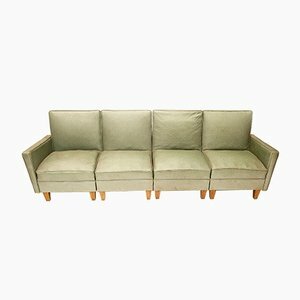 Sometime in the early-1940s, Tenreiro established Langenbach & Tenreiro Ltd. and abandoned traditionalist aesthetics in favor of a European modernist style. 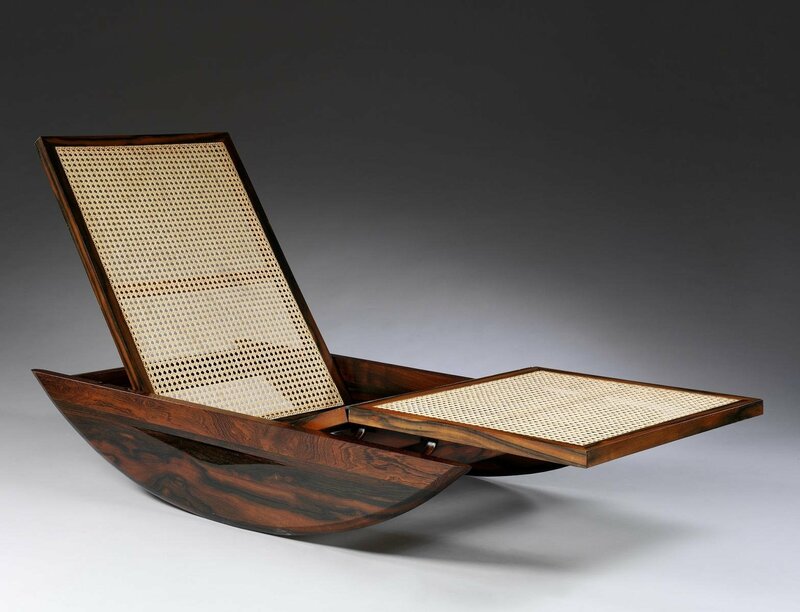 He aimed to introduce lighter construction methods and forms into the local Brazilian furniture culture. 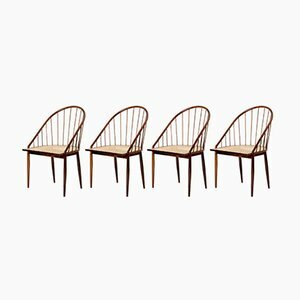 Using robust woods indigenous to Brazil—like jacaranda, peroba, and imbuia, as well as cane and wicker, Tenreiro created a striking range of armchairs , dining chairs , lounge chairs , coffee tables , and even some lighting designs. 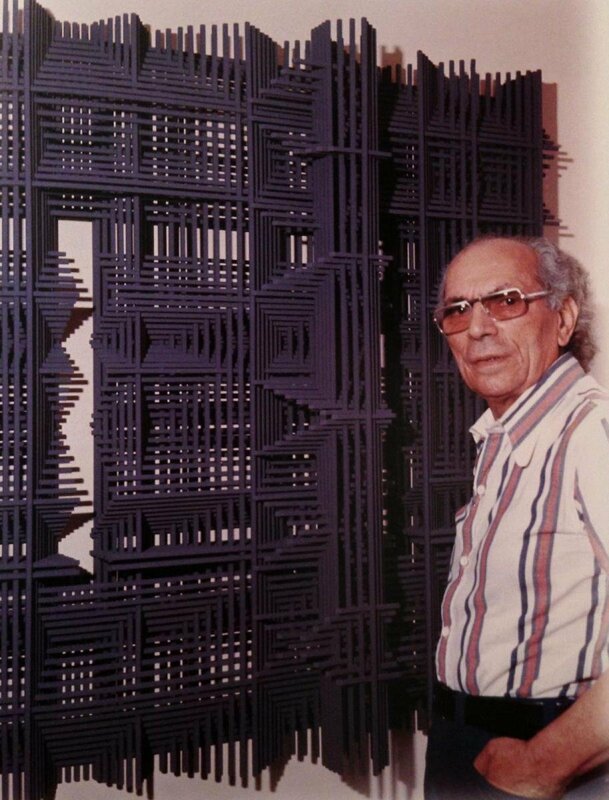 It wasn't until the 1950s that Tenreiro’s work started to gain recognition, at which point he began collaborations with the master architect Oscar Niemeyer, for whom he created custom furniture for contemporary homes. By mixing the traditional and the modern, Tenreiro became an influential contributor to Brazil’s evolving design scene, alongside his contemporaries Sergio Rodrigues (1927 - 2014) and José Zanine Caldas (1919 - 2001). In 1967, despite his success with design, Tenreiro closed Langenbach & Tenreiro Ltd. in order to focus his attention on painting and sculpture. He exhibited his work in many galleries and museums in Rio de Janeiro and São Paulo. Notable designs from Tenreiro’s design career include the Leve Armchair (1942), Cadeira de Embalo Rocking Chair (1947), Sleepwalker’s Armchair (1950), and the Curva Chair (1960s). 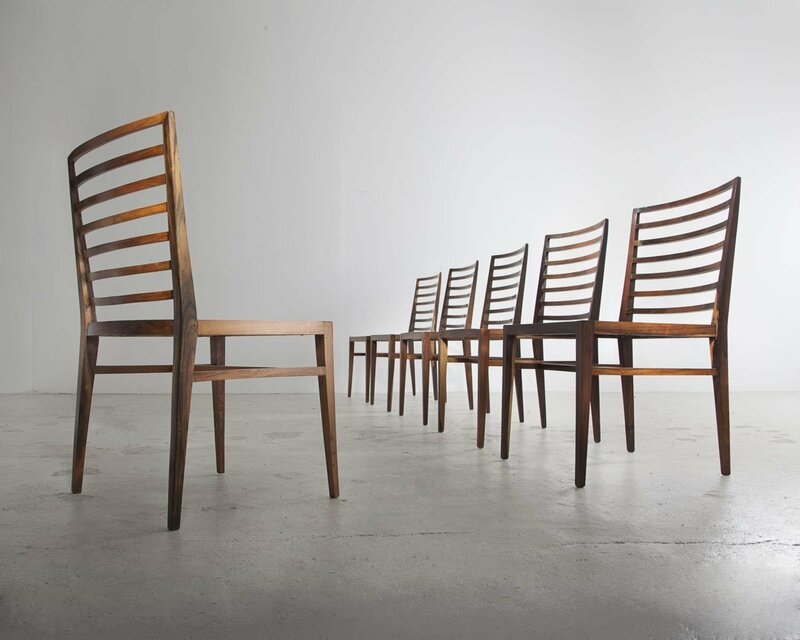 In 2008, the Cadeira de Três Pés or Three-Legged Chair (1947) sold at auction for over 90,000 USD. 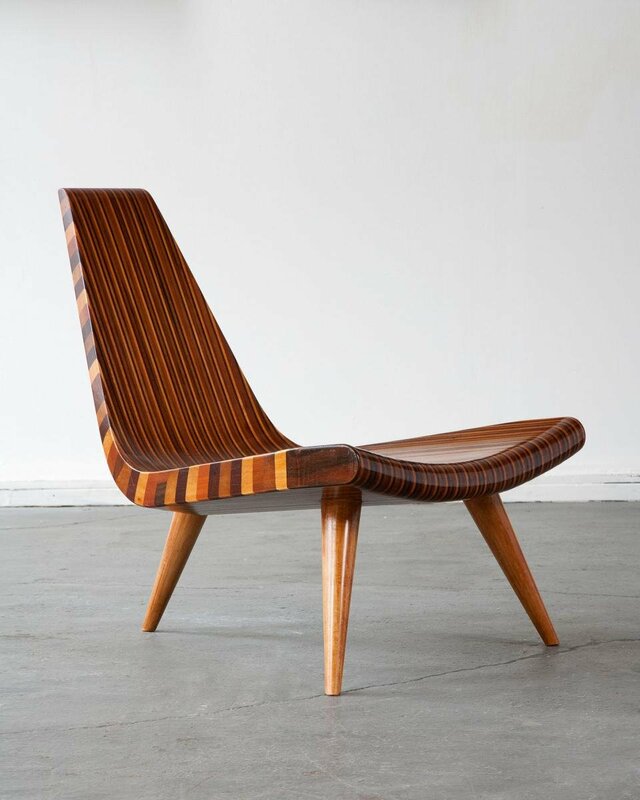 Made from five different types of wood (jacaranda, imbuia, roxinho, pau marfim, and cobréuva), the chair showcases Tenreiro’s appreciation of the inherent qualities of Brazilian woods. 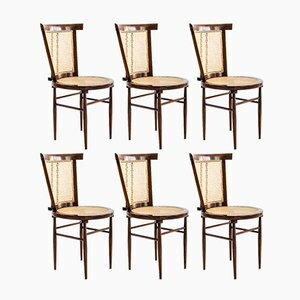 Today, the chair is considered a Brazilian icon. Tenreiro passed away in 1992 in Itapira, Brazil. Many of his designs are highly coveted today by serious design collectors around the world.